One of the goals of the PDI has been to systematically describe the treatment we have developed for borderline patients. The following books explain our understanding of borderline personality and how to treat it. 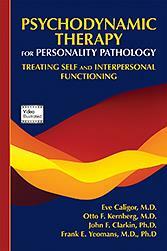 Psychodynamic Therapy for Personality Pathology: Treating Self and Interpersonal Functioning, Caligor E, Kernberg OF, Clarkin JF, Yeomans FE. Deftly combining contemporary theory with clinical practice, an invaluable resource for any clinician seeking a coherent model of personality functioning and pathology, classification, assessment, and treatment. This insightful guide introduces Transference-Focused Psychotherapy—Extended (TFP-E), a specialized but accessible approach for any clinician interested in the skillful treatment of personality disorders. 2018. 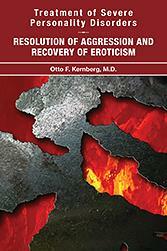 Treatment of Severe Personality Disorders: Resolution of Aggression and Recovery of Eroticism, the influential psychoanalyst and psychiatrist Otto Kernberg presents an integrated update of the current knowledge of personality disorders, their neurobiological and psychodynamic determinants, and a specific psychodynamic psychotherapy geared to resolve the psychopathology of these conditions—namely, the syndrome of identity diffusion and its influence on the capacity for emotional wellbeing and gratifying relationships with significant others. 2018. Fundamentals of Transference-Focused Psychotherapy: Applications in Psychiatric and General Medical Settings, Hersh R, Caligor E, Yeomans FE. 2017. Transference-Focused Psychotherapy for Borderline Personality Disorder: A Clinical Guide first provides clinicians with a model of borderline pathology that is essential for expert assessment and treatment planning and then addresses the empirical underpinnings and specific therapeutic strategies of transference-focused psychotherapy (TFP). 2015. Schizotypy and Schizophrenia: The View from Experimental Psychopathology presents a novel framework for understanding schizophrenia through the study of individuals who share a personality organization known as schizotypy. 2010. Handbook of Dynamic Psychotherapy for Higher Level Personality Pathology guides the reader through applying the concepts and techniques of TFP to therapy with higher level patients. 2007. Psychotherapy for Borderline Personality: Focusing on Object Relations is an essential book describing an approach to the treatment of borderline personality disorders. 2006 Edition. 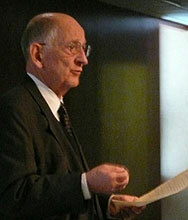 Major Theories of Personality Disorder encompasses the most important current perspectives on personality pathology including psychodynamic, interpersonal, attachment, ecological, psychometric, and neurobiological models; explores similarities and differences among the various theories, identifies potential avenues of integration, and discusses key implications for research and clinical care. 2005. A Primer for Transference-Focused Psychotherapy for Borderline Patients is a succinct yet thorough introduction to TFP. Personality Disorders in Children and Adolescents focuses on research, findings and clinical experience. Borderline Patients: Extending the Limits of Treatability confronts the complications that limit treatability. Treating the Borderline Patient: A Contract-Based Approach explains the art of setting up an adequate treatment contract for therapy of the borderline patient.